The wind is howling and whistling through the night. Is now lying down cutting me off from the world. Your tiny brown buds were ready to shoot out life. Fanned and soothed my languid heart. Of yellow, green, and red. Dainty yet reassuring lines in the sky. It had already infiltrated you. Was so close to me. And Hobaegi, our dog, was jumping in contagious excitement. But no one came to Father’s birthday. Shattering our world, our peace. Flowed from his own father's—or any guest’s—mouth. And it was a good thing, for the Dragon loves water. But it was not a good rain. riding up on an adult’s back. The Han River Bridge fell before our eyes. Refused to cross the river, because he couldn’t leave us behind. The three months’ hell started from that moment. And we children lost our innocence. Where I observed people’s court and even executions. We learned what it meant to be hungry. For a banker was “bad by nature” and deserved to be shot on the spot. Knew that one mention of “Father” would have made all of us half-orphans. As one of them killed our elder uncle and two dear cousins. Sounding like a deranged policeman’s whistle leading everyone to hell. And then all that suddenly stopped, just as suddenly as it started. We were on the street greeting you, alien soldiers on foot. You were all dirty and hairy—of all colors, yellow, red, brown, and black. Shook your hands and handed over the Korean and American flags. And children began prancing with joy again. 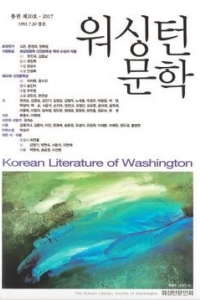 The magic gave us the miracle of the Han River. It is not a Forgotten War, but the magic lives on and on. 우리집 강아지 호백이도 덩달아 겅중겅중. 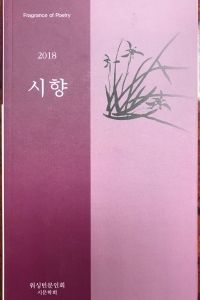 어머니가 직접 쓰신 책과 만화책 상타기. 그러나 아버지 생신에 아무도 오지 않았다. 또 손님들의 큰 소리 덕담도 안 들렸다. 그것은 용띠 아버지에게 좋은 거라 하셨다. 그렇지만 그 날의 비는 좋은 비가 아니었다. 한강을 헤엄쳐 건느실 용기를 못 내셨다. 우리는 배고픈 것이 무엇인지를 알게 되었다. “성분”이 나쁜 은행가 아버지는 즉석 총살감이었다. 우리 모두 반고아가 된다는 걸 본능처럼 알았다. 큰 아버지와 사랑하는 두 사촌동생이 그렇게 사라졌다. 모든 인류를 지옥으로 몰아가는 호르라기 소리 같았다. 그러다 갑자기 모든 것이 멈추었다. 시작할 때와 똑같이 갑자기. 모두가 길가로 뛰어나와 행진해들어오는 외국 보병들을 맞았다. 그들은 모두 정말 가관의 더러운 털보들—거기다가 노랑, 빨강, 갈색, 흑색, 가지각색의 인종들. 어떤 사람들은 태극기와 성조기를 손에 쥐어 주었다. 어떤 이들은 죽었다 살아온 형제를 보듯이 그들을 껴안았다. 그리고 아이들은 또 다시 깡충깡충 뛰어놀기 시작했다. 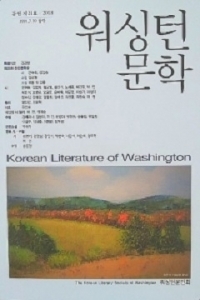 마술은 한강의 기적을 낳았다. 보라 지금 우리가 어디에 있는지를. 그들이 어디에 있는지를. 절대로 잊어버린 전쟁이 아니다, 마술은 계속 살아넘친다.